Some weeks ago we had the chance to meet the members of Mark Ernestus' Ndagga Rhythm Force when they played in Berlin. Their keyboard player Ibou Mbaye visited us, because he is fascinated by the C15. It seems to fit very well to his way of playing. 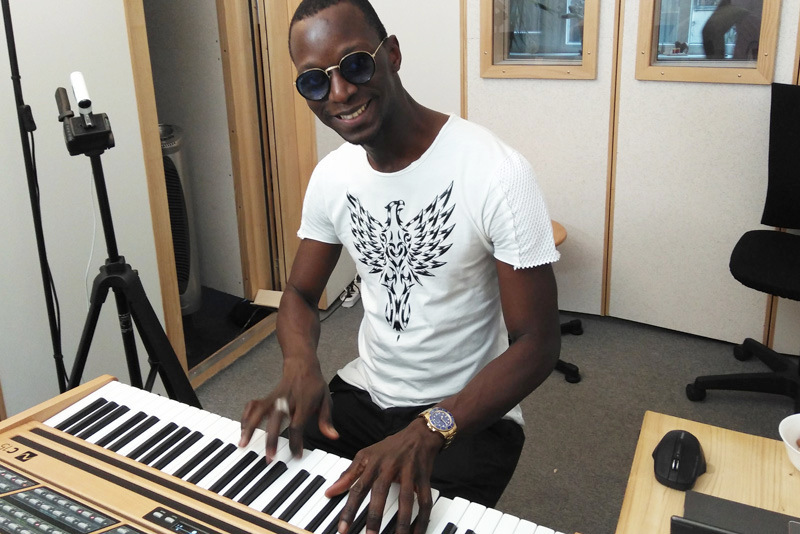 At home in Dakar (Senegal) Ibou is member of several bands and a studio musician in great demand. We are excited that he decided to take a C15 to Dakar. Similar to the Yamaha DX7, still in use by many African musicians, the C15 offers crisp percussive sounds with metallic or wooden character, a wide dynamic range and a very good keybed. Ibou is convinced that the unique concept of the C15 will open new dimensions for his playing. We recorded his improvisations on the C15 and will put some clips online soon.